Whether you are young or old, Reed's latest innovations in card work are a must have for your repertoire. Reed McClintock's audience acclaim can be yours! 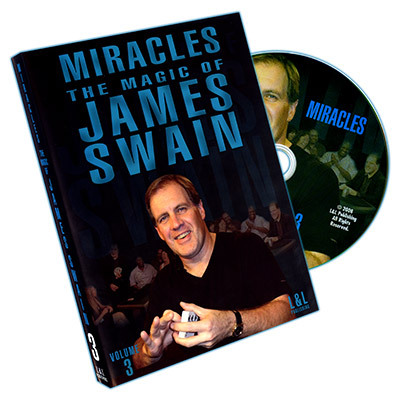 Since the McClintock Twist's first introduction, this sleight and the routines contained on this DVD have become a main part of Reed McClintock's Internationally acclaimed magic act. 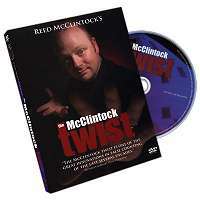 Not only will you learn the handing of the McClintock Twist, Reed shares new never revealed illusions and a handling so diabolical that if used correctly will make your magic more than memorable. This illusion can be mastered in a few minutes and perfected over a lifetime. 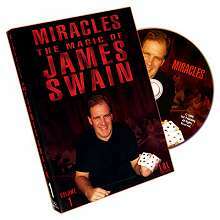 This illusion is comprised of the basic twist and a way to do the classic twisting of the Aces. Of course using no gaffs or extra cards. It is also done vertically rather than the traditional waist level view. Quite possibly the finest pick your own pocket routine ever devised. Reed picks his own pockets. A routine so clever and sneaky that even the keenest of minds have been totally baffled. The technology being applied is so straightforward and inspiring you have to see it to believe it. This is a full show piece, so much magic happens in a non confusing way that this routine is said to be worth the whole price of the DVD alone. One of the most artistic pieces of magic you have ever seen. Four white cards are shown with spots about the size of half dollars on them. One at a time the spots move to the outer corners of each card. The cards are rotated 180 degrees and now the spots from the corners join to make one big spot in the middle. 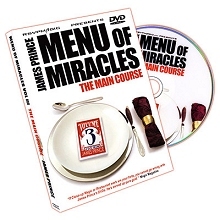 If you've asked yourself what is a trick to get a great gig or a new booking, this DVD is for you. This illusion can be done with company logos, letters to form words, images to create other images and so much more. The possibilities are limited by only your imagination.